Ever since i got into the health focussed mode, i have been baking cakes very rarely. But every once in a while when someone gives me a good recipe, i bake. A fortnight back my neighbour gave us some lemon cupcakes that she had baked. The cupcakes were light & fluffy and we all loved it! My neighbour was kind enough to share her moms’ recipe for the lemon cupcakes. I was amazed at how simple the recipe was. After making the first batch successfully, i decided to try making another batch with whole wheat flour. To my surprise it came out very well. This batch of cupcakes were also fluffy though not as light & fluffy as the ones made with plain flour, nevertheless healthier. 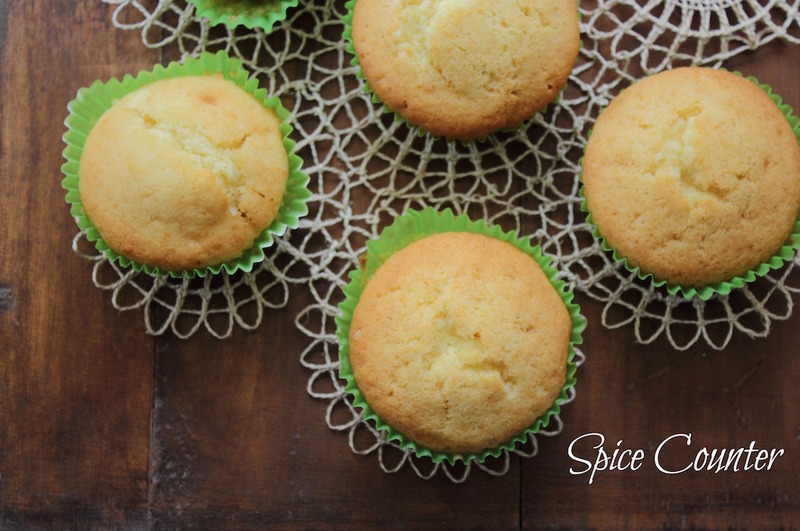 These mildly flavoured lemon cupcakes are easy to make. Without compromising on the taste, this recipe can also be made healthier by substituting plain flour with whole wheat flour. Now add the lemon zest & juice, vanilla essence and mix well. Add the milk if the cake batter is too thick. 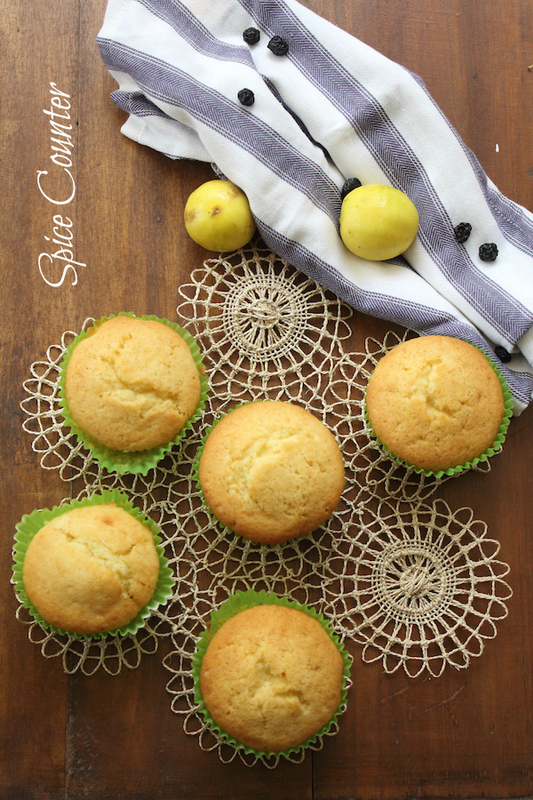 You can also check out Lemon Cupcakes by Quichentell.